This chapter describes some of the issues that can contribute to the distortion of the value of awards received by claimants arising from the treatment of taxes and currency, and explores some possible approaches to reducing or eliminating potential distortions from an economic point of view. Taxes, and particularly taxes on profits, are a fact of corporate life in the majority of jurisdictions. As a result, the treatment of tax in the calculation of awards of compensation made by tribunals in international commercial and investment treaty arbitration can have a significant impact on the value of an award to a recipient. Overcompensation and under-compensation are possible where taxes are not considered appropriately or at all. The treatment of taxation in relation to awards of damages may, depending on the circumstances, be a question of the law of damages before it is a question of the assessment of economic loss. In the taxation part of this chapter, we focus on questions of economic loss arising in this context. These issues can be complex, given the nature of the calculation of an award, its timing and the international context in which many claims are made. Perhaps partly as a result, this area has often been given limited attention by tribunals and parties to disputes. Similarly, the treatment of currencies in the calculation of awards of damages can have a very significant effect on the value of damages received by a claimant, again potentially giving rise to overcompensation and under-compensation. Famously, the calculation of an award of monetary damages in bilateral investment treaty arbitrations is based on the principle established by the Permanent Court of International Justice (predecessor to the International Court of Justice) in the Chorzów Factory case of 1928: ‘reparation must, as far as possible, wipe out all the consequences of the illegal act and re-establish the situation which would, in all probability, have existed if that act had not been committed.’ The ex ante position should be restored. A substantially similar principle generally applies in international commercial arbitration: that the claimant should be restored to the position it would have enjoyed but for the breaches found by the tribunal. We shall call this the ‘principle of full compensation’. The principle of full compensation implies that any award should restore the claimant to the same position that it would have enjoyed but for its injuries, taking account of all relevant factors, including applicable taxation and relevant currency movements, both in considering the financial position the claimant would have been in but for the breach or breaches and the financial position it in fact finds itself in. 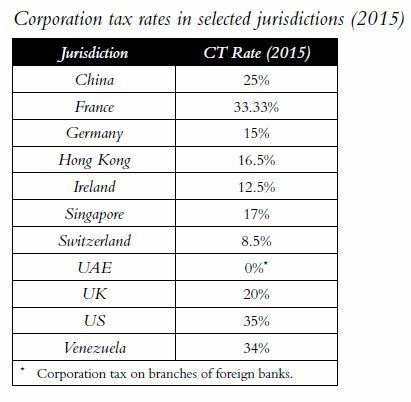 Taxation of corporate profits is well established in most jurisdictions. Such taxes would often have applied to additional profits a claimant would have made but for its injuries, and also often apply to any award received by a claimant. The treatment of taxation by tribunals in setting awards can make an important difference to the net proceeds of an award to a claimant and, therefore, whether the principle of full compensation has been met. Most simply, if an award itself is subject to tax and the value of the award has been calculated by reference to profits lost on a post-tax basis, under-compensation of a claimant is likely to arise. In such circumstances, the principle of full compensation might at its most straightforward imply that it would be necessary for the claim to include a gross-up for tax payable on the award. because the amount of taxes that would have been or will be paid in certain scenarios can depend on the performance in the future or hypothetical position of both the legal entity and its corporate group, treatment of tax issues may require an even broader scope for analysis and estimation than that required for other aspects of loss assessment. Moreover, to assess the extent of taxes that a claimant will pay on any award, it is often necessary to make estimations concerning the future actual performance of the claimant (because, for example, a loss-making company may pay no taxes on an award, while the same company, if profitable, would pay taxes). When such estimation is compared to the future actual performance of the business it may result in dissatisfaction for one of the parties affected by an award of damages. Below, we discuss some of the conceptual issues involved in considering the tax implications of damages awards, before giving an overview of tax issues in selected jurisdictions. To illustrate the issues at hand, consider a relatively straightforward case in which a claimant is only seeking compensation for trading losses suffered in its home jurisdiction. Over which periods would the profits have arisen? What is the applicable corporation tax rate in each period? What is the basis of the calculation of taxable profits in each period (e.g., taking account of allowances, depreciation of assets for tax purposes and other factors)? To what extent are other losses available for offset either within the period, brought forward from earlier periods, or surrendered from affiliates? On what basis will the award be subject to tax? It may follow the taxation of the lost profits or be treated as a separate source of income or gains subject to different rules. In which period would it be subject to tax? At the time of the claim, both the timing of any future award payment and the tax position of the claimant in the tax periods in which the award may be received are likely to be uncertain. Further considerations come into play when the injury causes loss to an asset. Depending on the applicable jurisdiction, damage to an asset may result in a deemed disposal or part disposal of the asset for tax purposes and any compensation for such a loss may be treated as proceeds for such a disposal. This may apply when the asset is tangible property, or intangible property such as a brand, which may be a recognised asset on the claimant’s balance sheet. The capital gain/loss will be calculated according to applicable tax principles, deducting allowable costs (of acquisition, etc.) from the proceeds of disposal. This calculation may not be consistent with the method used to calculate the award, which may be by reference to loss of revenue, and this would need to be taken into account to ensure appropriate post-tax compensation. Further refinement would be needed in cases in which a claimant seeks compensation for profits that would have been generated partly or entirely in jurisdictions other than its home jurisdiction. This is very often the case in bilateral investment treaty cases, for jurisdictional reasons, and also for those commercial cases in which a parent company is claiming for losses suffered by its foreign subsidiaries. Although international law may apply to the arbitration process, tax law is not international. Each jurisdiction has sovereign power to determine the taxation of companies resident or active in that jurisdiction. The exercise of this sovereignty can result in conflict with other jurisdictions or supranational bodies as demonstrated recently by the intervention of the European Union in Apple’s tax arrangements in Ireland, agreed by the Irish fiscal authority but attacked under EU State Aid principles. The diversity of approach to taxation generally is illustrated by the table below, which summarises headline corporation tax rates for 2015. The method of identification of the profits subject to tax, taking account of reliefs, exemptions, losses and affiliated company tax positions, also varies. In cross-border cases, therefore, it is necessary to consider whether there is symmetry of taxation between the lost profits on one hand, hypothetically subject to tax in the home jurisdiction of the injured company, and the award on the other hand, potentially taxable as income or capital gains when received by the injured company or an affiliate, in another jurisdiction. This situation also raises the question, in relation to commercial cases, of equity between jurisdictions, as well as between claimant and defendant; where tax is lost in one jurisdiction as a result of the injury inflicted on one company and paid in another jurisdiction as a result of compensation paid to a parent or affiliate in that other jurisdiction, some form of settlement might be expected between tax authorities in different jurisdictions. However, there is no mechanism in the established tax treaty system for tax fortuitously received in one jurisdiction to be reimbursed to another, so such a process is not yet formally possible, in commercial cases at least. There is also the possibility of a claimant receiving an award calculated on a pre-tax basis, which is then not subject to tax; for example, where circumstances change or an alternative tax return position is taken. Such over-recovery would also be a violation of the principle of full compensation. As the brief survey above indicates, the issues involved are complex, and a detailed analysis of tax issues risks creating a separate arbitration within the arbitration, requiring further evidence of fact, evidence from tax experts, etc. We have never sensed appetite from parties or tribunals for such a detailed investigation; an understandable attitude given the potential for excessive technical detail, creative assumptions and uncertainty of tax outcomes outside the control of the tribunal. Before we discuss the steps that parties and tribunals can take towards implementing the principle of full compensation as far as taxation is concerned, we explore certain perspectives arising in the UK, US and France. The case of British Transport Commission v. Gourley (HL 1955) confirmed a general principle of compensation consistent with the principle of full compensation. However, the degree of approximation with which this principle is applied to the treatment of taxation on damages is variable. The UK corporation tax treatment of an award of compensation is determined by the nature of the loss to which the award refers. When corporate trading activity has been damaged, and the award is calculated by reference to the loss of trading profits, it will be treated as taxable trading income. The timing of taxation of an award is likely to follow the period in which the award is recognised in the recipient’s accounts. When compensation is claimed for damages other than loss of trade profits, it is necessary to determine whether the claim is in respect of a capital or revenue loss, and for capital losses, whether the loss relates to an underlying asset treated as chargeable for corporation tax purposes. A significant body of case law addresses the capital or revenue distinction, and UK statute defines chargeable assets. The area is complex and the facts will determine the UK tax treatment. When compensation is claimed for permanent damage or deprivation of use of a fixed capital asset, it is possible that an award will be treated as a capital receipt. The tax treatment of the award will then be determined by whether the damage can be related to underlying property that is a chargeable asset for purposes of calculating corporation tax on disposal (e.g., plant and machinery). In such cases, an award may be considered a deemed disposal or part-disposal of the asset, and a capital gain or loss would then arise for corporation tax purposes. It was established in the case of Zim Properties, that the right to take court action in pursuit of compensation or damages is of itself an asset for capital gains tax purposes. This case related to damages for professional negligence, and under current UK practice, a punitive tax cost can arise. Intangible assets such as goodwill were also historically treated as chargeable assets for corporation tax purposes; however, specific rules now apply to intangibles acquired (from third parties) or created after April 2002, such that gains or losses on disposal will be treated as revenue income or loss. A capital receipt not related to an underlying chargeable asset will not be subject to corporation tax under general principles. However, the basis on which receipts are characterised as non-taxable capital is dependent on the underlying facts, subject to a wide range of case law precedent, and, therefore, not clearly defined. A UK-based claimant would, therefore, need to identify the nature of the lost profits (whether capital or revenue) to analyse the tax treatment of the amount claimed. To restore the ex ante position, the calculation of the amount of the award should take account of the tax treatment of both the loss and the award itself. US courts have approached the issue of taxation of arbitration awards in the context of employment tribunal cases adopting a ‘make whole’ purpose that is broadly consistent with the principle of full compensation. These anti-discrimination cases are not directly relevant to the discussion relating to international commercial and investment treaty awards, but some insightful guidance emerges, such as the tribunal’s emphasis on the significance of the particular facts of each case and placing the burden of proof on the claimant to establish any adverse tax consequences to be taken into account. Turning to investment treaty cases involving US-based claimants, the award in the case of Chevron and Texaco v. Ecuador included lengthy analysis of the tax consequences in Ecuador of profits lost. After the Republic of Ecuador agreed that no further tax nor penalties or interest would be payable on the award, the award was rendered calculated on a net of tax basis. In Corn Products v. Mexico, the net of tax award was made to a US parent rather than to the Mexican subsidiary to ensure no additional taxes were payable in Mexico. It is not clear whether US taxes would ultimately have been payable by the claimants in these cases or whether this was relevant in the calculation of the award. If the awards were subject to tax in the US, the ex ante position may not have been restored unless the profits lost in Mexico would also ultimately have been subject to US tax. A final point of fairness arises in the context of investment treaty awards (analogous to the point above relating to jurisdicational fairness in commercial cases). In the case of the expropriation of a company by a government, the value taken by the expropriating government is as a first approximation the after-tax value of the relevant entity. If an award against a government based on the pre-tax value of the entity is paid to the parent company, as is often the case for BIT awards, on the grounds that the award will be taxed in the parent company’s jurisdiction, then the losing government will pay an award greater than the value taken. The excess between the value taken and the amount paid would then effectively be a tax windfall for the government of the parent company’s jurisdiction. It is perhaps to guard against such an outcome that the French Code général des impôts (tax code) stipulates that the French state will levy no taxes on awards paid in relation to expropriation or similar measures by a foreign government. One approach we often see used by a claimant is to state its claim before any corporation taxes the affected entity would have paid, on the grounds that any award will itself be taxed, leaving the claimant’s net position in line with the principle of full compensation. This approach is appropriate if the taxation of the lost profits would have been broadly in line with taxation of the award, both by reference to the method of calculation and marginal tax rate for the periods in question. An alternative approach often used is for a claimant to state its claim after deducting the taxes the entity would have paid, and to leave it to the tribunal to award such an amount that leaves the claimant’s position after the taxation of the award such that the award it receives post-tax constitutes full compensation. This approach essentially defers the question of taxation to the hearing or post-hearing stage. Such an approach would be appropriate if it is clear that the award itself would not be subject to tax. However, when the tax treatment of the award is not addressed at all, the claimant would be at risk of under-compensation. As the great John Maynard Keynes was reported (after his death) to have said, ‘It is better to be roughly right than precisely wrong.’ In view of the limitations of the above approaches, it may improve the appropriateness of awards at an acceptable cost to pursue the issue of taxation slightly further, in order to move in the direction of the ‘right’ award, than to leave this undone. Given the complexities involved in assessing taxes, even at a relatively simplified level it is likely to be useful to secure the input of individuals with hands-on experience of tax assessment in the relevant jurisdictions, to validate the approach being undertaken. Such input may come from the parties’ own finance teams, or existing external taxation advisers. A number of consulting firms active in the assessment of losses in international arbitration, including our own firm FTI Consulting, have tax groups that also offer expertise in this area. Issues of currency arise very frequently in assessing losses in international arbitration. The critical issue is not so much the currency in which any award is to be paid – unless the currency is truly exotic (unlikely) or subject to exchange controls (at least sometimes explicitly ruled out), a payment in one currency can today be quickly and very cheaply exchanged into another currency if the recipient wishes. The critical issue is, instead: in what currency is the award to be calculated, and at what dates are any amounts in other currencies to be translated into the award currency? The following example (which mirrors several of our recent cases) illustrates the impact this can make. Consider a loss suffered most immediately in a local currency, of 100 million currency units, and an award five years later. During the intervening period local currency interest rates have been at 10 per cent, euro interest rates at 5 per cent, and the exchange rate has depreciated from 10 to 20 local currency units to the euro, all as shown in the table below. Assume further that it is uncontentious between the parties that the award is to be paid in euros. Straightforwardly, the euro value of the loss at the date of breach was €10 million. The respondent argues that the award is to be paid at the euro equivalent of the loss after it has been assessed in local currency and brought forward at the applicable rate of interest. Using such an approach, the value of the award when paid is €8.1 million, as shown above (this is lower than the €10 million value of the loss at the date of breach, because the effect of the weakening of the local currency exchange rate more than offsets the relatively high interest rate). The claimant, however, argues that the correct approach is to translate the loss into euros at the date of breach, using the then-prevailing exchange rate, and then to add interest to the present. This gives rise to an award of €12.8 million, more than 50 per cent higher than the figure proposed by the respondent. The approach to currency selected by the tribunal will, therefore, have a very significant effect on the amount recovered by the claimant. The impact of this general point can be far more dramatic than the illustrative example above; one case that was ultimately decided by the UK’s House of Lords involved an award of the local currency equivalent at the date of payment of US$20,000 that would have been nearly US$3 million if translated into dollars at the date of breach. The evolution of English law relating to currency and damages further illustrates the importance of this issue. For much of the twentieth century, English law held that damages awarded in the English courts must be awarded in pounds sterling. Damages claimed in contract law were to be converted into pounds sterling at the date of the alleged breach, disregarding subsequent fluctuations in relevant exchange rates. While such treatment may have been appropriate for a claimant predominantly doing business in pounds sterling, it exposed claimants operating primarily in other currencies to fluctuations in the value of the pound, in the same way as in the example above. This benefited the claimant at the expense of the defendant when the value of the pound appreciated over the relevant period by more than the differential between the applicable interest rate in each currency, and vice versa. During the Bretton Woods era of pegged exchange rates, such currency fluctuations, and hence the risks thereby imposed on parties to disputes, were very limited, apart from occasional devaluations. However, with the emergence of floating exchange rates from 1968, the associated risks grew. The practice changed in two steps. The first step arose in 1974 when the Court of Appeal confirmed an award by commercial arbitrators expressed in a foreign currency, which had for some time been the practice among commercial arbitrators in appropriate circumstances. Then, in 1975, the House of Lords, citing the development of floating exchange rates, explicitly repudiated the principle that claims for damages must be expressed in sterling. From that point forward, claims for breach of contract under English law could be expressed in foreign currency; if any conversion was needed for enforcement purposes, such conversion would take place at the date the court authorised the claimant to enforce the judgment (the ‘date of payment’). This decision reduced the scope for foreign exchange rate movements to affect parties to a dispute inappropriately. in the currency in which the loss was felt by the plaintiff or ‘which most truly expresses his loss’. This is not limited to that in which it first and immediately arose. In ascertaining what this currency is, the court must ask what is the currency, payment in which will as nearly as possible compensate the plaintiff in accordance with the principle of restitution, and whether the parties must be taken reasonably to have had this in contemplation. Under this principle, for example, a loss suffered by a French charterer under a contract denominated in dollars, for delivery to Brazil of goods that were damaged as a result of a breach of the ship-owner, was subject to an award in French francs, because the charterer had had to use French francs to buy the Brazilian cruzeiros with which to compensate the cargo receiver. International courts and tribunals, as noted above, have consistently expressed compensation in freely convertible currencies. So, for example, in Biloune v. Ghana, the claimants were compensated in relation to investments made in pounds sterling, Deutschmarks, US dollars and Ghanaian cedis, this last currency not being freely convertible. The tribunal awarded compensation in the first three currencies but awarded the fourth amount in US dollars. The injured party has the right to receive the equivalent at the date of the award of the loss suffered as the result of an illegal act and ought not to be prejudiced by the effects of a devaluation which took place between the date at which the wrongful act occurred and the determination of the amounts of compensation. Other institutions, including the United Nations Compensation Commission and the Iran-US Claims Tribunal, have adopted a similar approach. Ripinsky and Williams note several mechanisms that have been used by international tribunals to implement this principle in cases in which the foreign exchange value of one of the possible currencies of the award had depreciated by more than any differential in the applicable interest rate. First, and as discussed above, the loss can be converted into the currency of the investor at the date of the breach. This is the approach taken by the tribunal in Sempra Energy v. Argentina, faced by depreciation in the Argentine peso of more than three times since the date of the breach. Second, and rather more unusually, the loss could be assessed in some third currency that has not depreciated – Ripinsky and Williams give the example of the 1956 Lighthouses arbitration between France and Greece, which related to events in the 1920s, since which time the French franc had depreciated by 90 per cent and the Greek drachma by even more. This tribunal accepted the claimant’s request to use the US dollar, which had been relatively stable in value over this period, as the money of account. Third, and even more unusually, some special adjustment could be made by the tribunal – for example, in SPP v. Egypt, the tribunal adjusted the amount awarded in US dollars for the (relatively high) general dollar price inflation that had applied between the 1978 breach and the 1982 award, using the change in the US Consumer Price Index. Finally, compensation may still be made in the depreciating currency if the associated award of interest is sufficient to offset the effect of foreign exchange depreciation. Absent specific instruction, and as with questions of taxation, the valuation expert will assess currency issues by reference to the principle of full compensation, by assessing the financial position of the claimant but for the breach, and comparing that to the financial position of the claimant in actuality. The impact of taxation on an award calculated in one currency by reference to a loss suffered in another, and associated currency differences, may also need to be considered to achieve full compensation. To implement this principle, the valuation expert must form a view as to the likely use by the claimant of the cash flows lost as a result of the breach. This, it would seem, involves grappling, from a valuation point of view, with the same issues as those addressed under English law when an arbitrator or judge considers ‘which [currency] most truly expresses [the claimant’s] loss’. A valuation expert may, however, be able to bring financial evidence relevant to addressing this question of which currency most truly expresses the claimant’s loss. Examination of a claimant’s financial statements or other accounting information may allow a valuer to test assertions made by the claimant relating, for example, to the currency mix of a claimant’s revenues, costs, assets and liabilities, to a company’s foreign exchange hedging strategy, and other relevant elements. Moreover, if a loss relates to a lost stream of cash flows – as in the case of most lost profits assessments, some expropriations, and many cases in which losses are assessed as of a present date rather than as a value of a business or asset at a past date – then the timing of those lost cash flows may be doubly important. First, because, as in any assessment of loss, the later in time a loss in a particular currency is felt, the less the value of that loss in that currency at the date of assessment. Second, however, because if for award calculation purposes each lost cash flow is translated into a different currency at the date it would have been incurred, then the date of each lost cash flow will determine the exchange rate applicable to it. The interaction of the timing of the lost cash flows with movements in the relevant exchange rate may have a major effect on the overall value of the claim. Finally, the international law examples cited above focus on methods to insulate claimants against situations in which depreciation in the currency of the respondent state would reduce the value of an award to the (inappropriate) detriment of the claimant. However, it can arise that the respondent state’s currency appreciates rather than depreciates after the date of the breach. From a valuation expert perspective, the principle of full compensation would insulate claimants from any associated benefit – as in the case of currency depreciation, the loss would be translated into the award currency at the date it was felt. To do otherwise would be to give claimants a one-way bet on currency movements subsequent to the date of breach – a one-way bet with a potentially significant financial value, that could, in principle, be quantified using options-pricing techniques. James Nicholson is senior managing director in FTI Consulting’s economic and financial consulting segment. The author is legally qualified and nothing in this article should be taken as opinion or advice on matters of law. Sara Selvarajah collaborated with James Nicholson on the parts of this article relating to taxation, which draw on an article the authors recently published in The International Arbitration Review (7th ed, 2016); the remainder of the article was prepared by James Nicholson. Although individuals are often parties to international arbitration, we focus in this article on the situation of corporations. OECD Tax Database, www.trading economics.com, local fiscal authority sources. Although see below for the tax treatment in France (and potentially other jurisdictions) of compensation for expropriations, as may be awarded under a bilateral investment treaty and otherwise. Zim Properties Ltd v. Proctor 58 TC 371. Eshelman v. Agere Systems Inc.
Chevron Corporation (USA) and Texaco Petroleum Company (USA) v. Republic of Ecuador (March 2010), PCA Case No. 2009-23, cited in Nhu- Hoang Tran Thang, Tax Gross-Up Claims in Investment Treaty Arbitration, February 2011. Corn Products International Inc v United Mexican States (March 2010), ICSID case ARB(AF)/04/1, cited in Nhu- Hoang Tran Thang, Tax Gross-Up Claims in Investment Treaty Arbitration, February 2011. Ripinsky and Williams in their 2008 book Damages in international investment law cite the tribunal in the Vivendi v. Argentina ICSID case, and the Iran-US Claims Tribunal, both of which state that it is the ‘frequent’ or ‘usual’ practice of tribunals to provide for payment of damages in a convertible currency (footnote 2 to Chapter 10). If conversely the local currency had appreciated, the reverse would apply and the claimant would be better off under the former approach. Attorney General of the Republic of Ghana v. Texaco Overseas Tankships, The Texaco Melbourne, cited in McGregor on Damages 18th Edition, McGregor, Sweet & Maxwell 2009, 16-045. Neither of the authors has legal training on these issues; our understanding of the English law on currency and damages is derived in general from McGregor on Damages 18th Edition, McGregor, Sweet & Maxwell 2009, chapter 16, and in this paragraph at 16-019 of that work. Jugoslavenska Oceanska Polvidba v. Castle Investment Co Ltd, 1974. Miliangos v. George Frank Textiles, 1975. All as outlined in more detail in McGregor on Damages 18th Edition, McGregor, Sweet & Maxwell 2009, 16-028. McGregor on Damages 18th Edition, McGregor, Sweet & Maxwell 2009, 16-038. Commenting on Services Europe Atlantique Sud (SEAS) v. Stockholms Rederiaktiebolag SVEA, often known as The Folias, as quoted in McGregor on Damages 18th Edition, McGregor, Sweet & Maxwell 2009, 16-039. The Folias, per McGregor on Damages 18th Edition, McGregor, Sweet & Maxwell 2009, 16-037. Award on Damages and Costs of 30 June 1990, as quoted in Damages in International Law, Ripinsky and Williams, BIICL 2008, p395. The manner of awarded interest in dollars in this matter being inadequate to make such compensation. See Ripinsky and Williams Section 10.1.2 for further discussion of these points.